« Bostonist Tells a Fish Story – About Us! This post is brought to you by the letter F.
The friends who came over with wine and laughter, priceless. 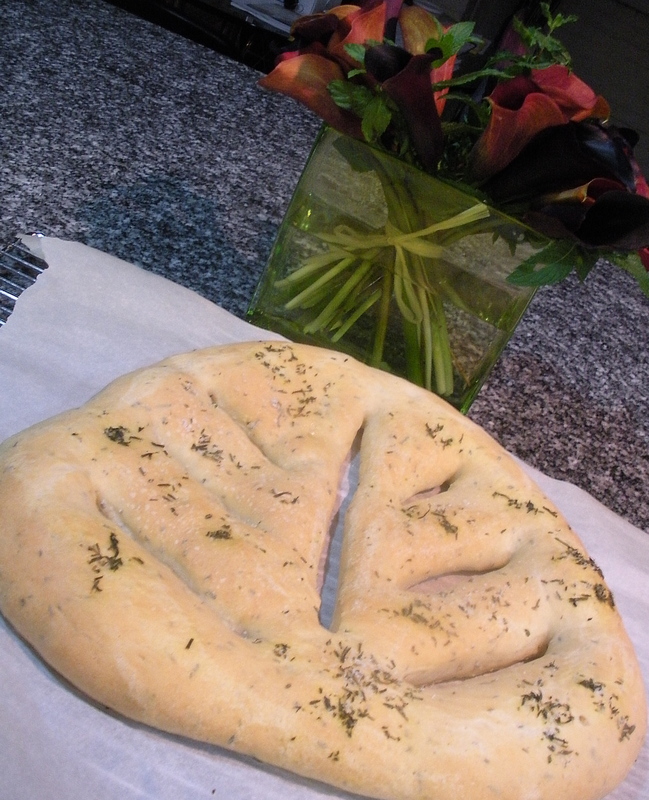 Fougasse is a bread from the South of France. It can be baked in various styles (flatter, like pita almost) or puffier, and shapes like a leaf or chaff of wheat. You can fold in olives or herbs. This one has sprinkle of olive oil, rosemary, thyme and salt.